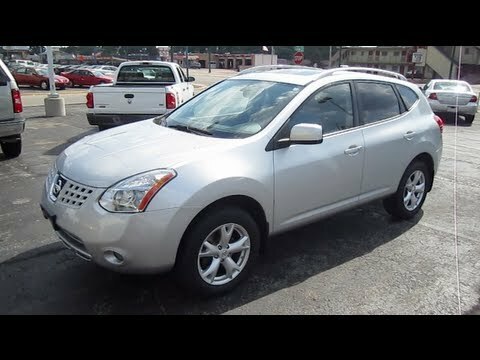 The 2008 Nissan Rogue starts just under $20,000 - slightly less than any other four-cylinder crossover - and offers Bluetooth and fuel economy that bests category-leading offerings from Toyota and Honda. I like the leather seats and voice command. You know you love a vehicle when in the process of buying an Xterra (to replace a recently totaled collision, :() you stumble across a pristine Rogue you absolutely cannot walk away from. My "new" gem is a 2008 Rogue SL, one-owner vehicle with 77K miles on her and loaded to the hilt with all kinds of little luxuries (the ONLY way to buy a used car in my opinion), like Bose Sound System, the crazy CVT transmission that lets you change from Automatic to paddle-on the wheel shifting, Bluetooth, Cruise Control, Sunroof, and let's not forget the 17" upgraded Alloy Wheels! I LOVE THIS CAR! In fact, if I'm not careful, I'm going to find myself holding some speeding papers she's got such a sneaky Get Up and GONE performance. You will not regret purchasing this vehicle. My only complaint is the 21 mpg but I'm willing to look the other way for everything else my "Fiona" offers. (Yeah, I did. I named her Fiona. What of it?) Drive one, and I dare you not to fall in love too. The style is what got me to purchase this vehicle. It has nice lines and is not too big for me as the single driver! I love the small but sufficient size of the Rogue and it is decent on gas. It's a nice style and the seats are sporty black cloth which don't show stains. A Bose sound system makes for nice music listening and I enjoy the Bluetooth option. Great storage in the rear. Sunroof is so nice and the all wheel drive makes me feel safe for those snowy days. I do not have any dislikes or complaints. I would buy it again! Nissan rogue 2008 sl AWD blue. I got this car a year and a half ago used and I have had no issues with it. I have done maintenance to the car (e. X. New tires, suspension, brake pads, rotors) and I drive this car over 50/100 miles a day between the commute to work, then to school, and around the neighborhood. It is very reliable, and the gas mileage could be better but it does hold a full tank a lot longer than any car I have had before.